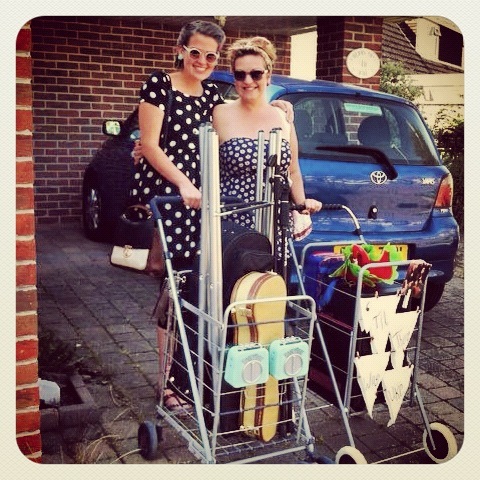 Trolleys at the ready…All set for our first eve of Busking! 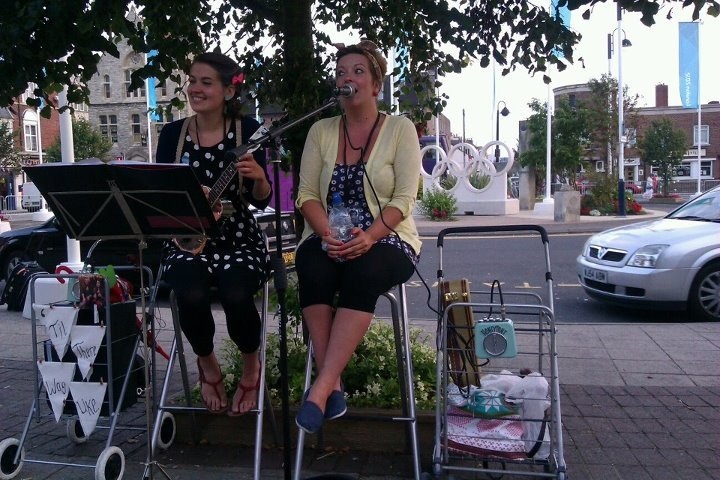 Four days of busking in and we are sleeeepy! Having a well earned day off! 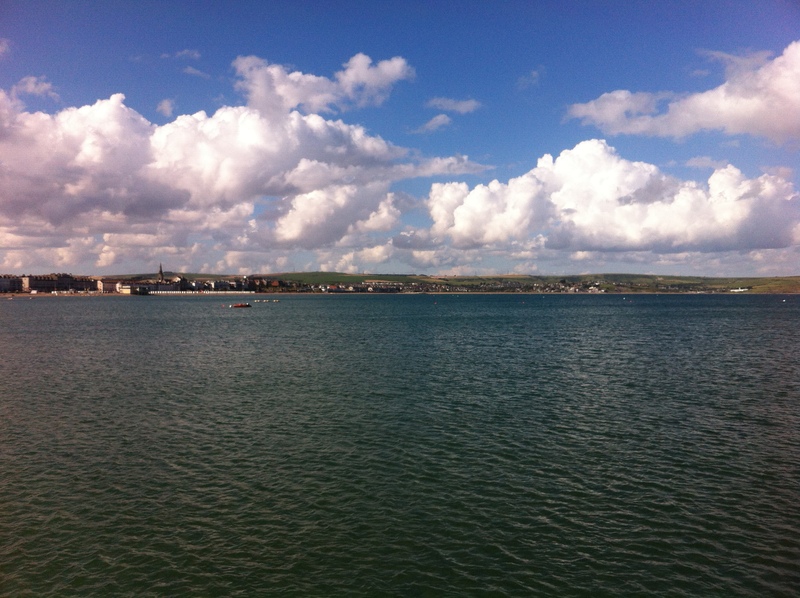 We have been so lucky with the beautiful sunshine which has certainly shown Weymouth off to it’s absolute best! We have loved meandering around our home town which is literally buzzing. Full to the brim of people enjoying themselves, tanning, munching fish and chips, enjoying a few beers by the harbour and generally having a fantastic time! Specially designed and commissioned. Cute! We have made a few friends and fans along the way and made it into the local paper and even onto the national news!! We are making a video blog of our adventures to be posted once edited at the end of the 2 weeks. I hope everyone is enjoying the Olympic hype as much as we are. 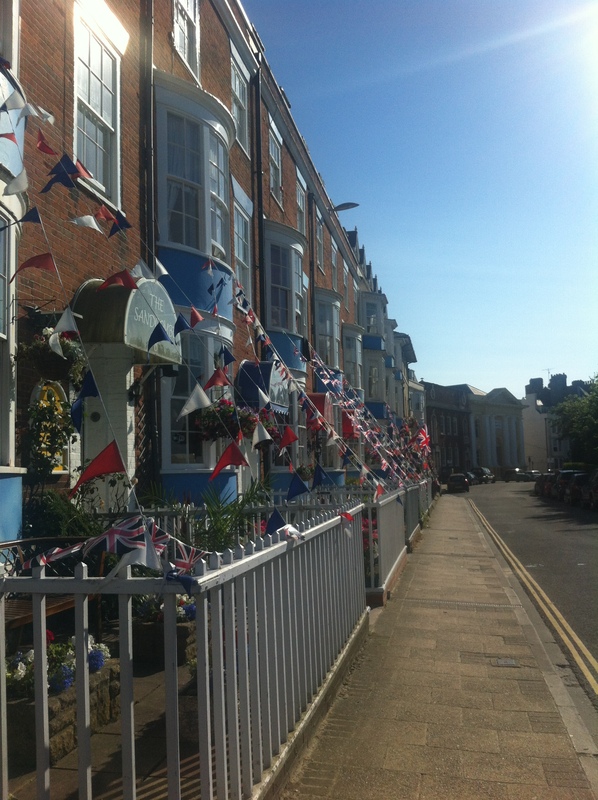 I would definitely recommend a trip down to Weymouth, host of the Sailing events. 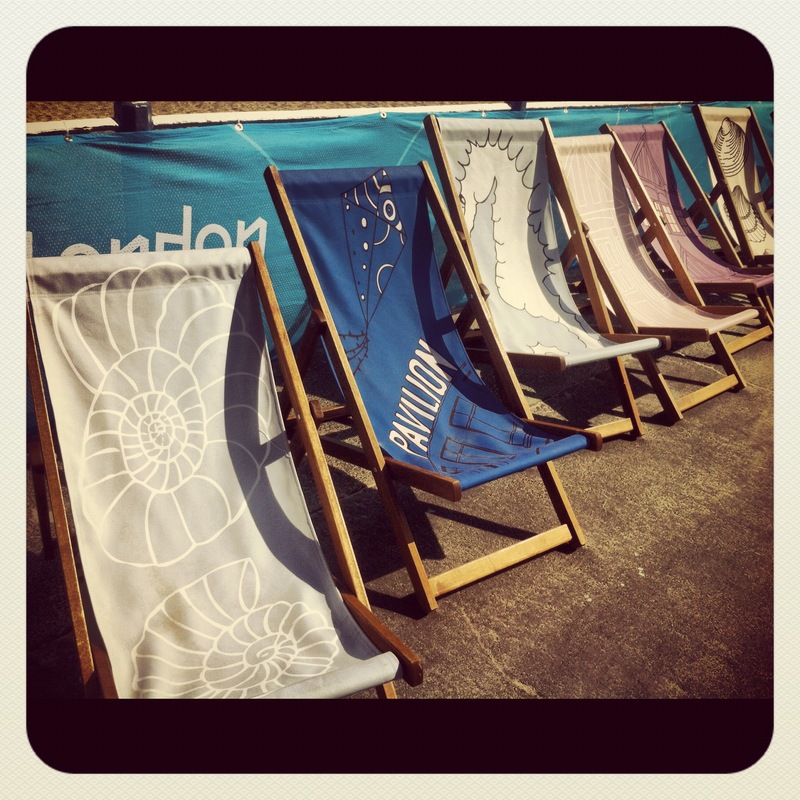 There are numerous festivals, street entertainment huge screens on the beach (we watched the opening ceremony on these! Amazing!) and just a great atmosphere in the whole town. 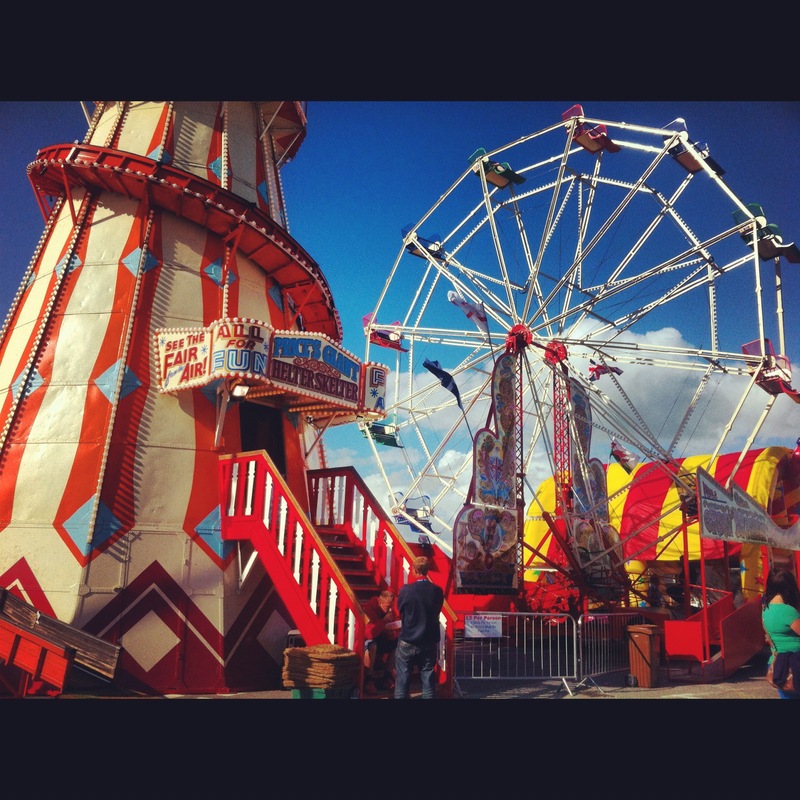 Fun at the Fair – B.side Festival Weymouth. This evening we have the exciting task of performing at the iCCi Dome situated outside Weymouth Pavillion. We are opening the evening as a support act to Rhyme Futur. Tickets are £8 for the evening. Eeeeeeek! Hope you are lucky enough to get chance to visit Weymouth over the next few weeks and hopefully pop by to see us performing! !